Knowing the makeup of chronic diseases is a substantial step toward creating diagnostics and treatment choices that are improved. The discovery is a significant advance in the understanding.35 kidney genes’ identification is an important step into the development of treatments and diagnostic tests . As per Senior Research Investigator Maciej Tomaszewski, Ph.D., professor in the University of Manchester, Chronic Kidney Disease is known for its complex genetic component and the limited knowledge about its mechanics on gene level partially explains why there is no proper advancement in the developmental process of new diagnostic tests and treatments. In the present study, the researchers analyzed 9958 gene expression profiles and 280 kidney transcriptomes which were obtained from 44 cells. From this, the group managed to discover gene expression partners (eGenes) for 88.9 percent of chronic kidney disease-defining traits loci. Dr. Tomaszewski stated that the outcome was a result of usage of high class next-generation RNA sequencing technology on human kidney collections they had. The scientists hope that the 35 genes discovered may be used as potential targets for the development of effective diagnostics and treatments in future. Co-study investigator Fadi Charchar, Ph.D., a professor at Federation University Australia added,”We expect that early forecast by genetic testing before the development of symptoms will in the long run be the first line of defense against one of the world’s leading killers. Early detection followed by treatment using kidney-protective prevention or medication of drugs that can harm the kidneys is the key to healthy kidneys later in life.”Their findings encouraged the researchers, but stay cautious to draw any conclusions since there’s still substantial work that remains to be done in identifying diagnostic or therapeutic interventions which could be derived from this information.Because it’s typical for it to have symptoms before the results of the disease have taken hold, we refer to CKD as a silent killer. 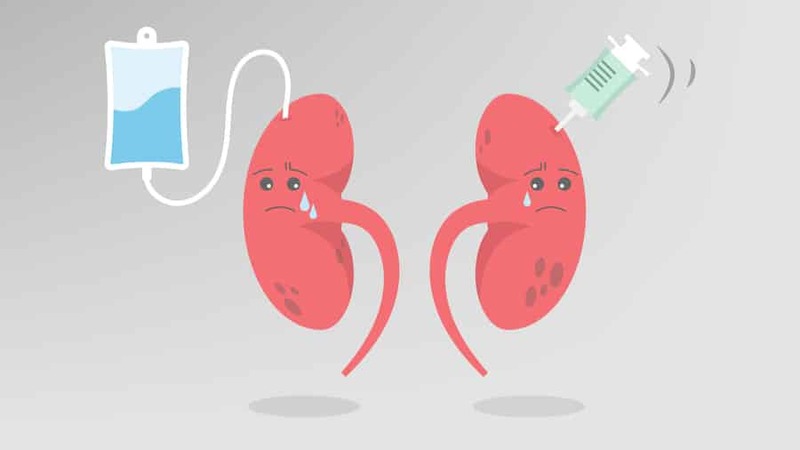 The findings of the research are hugely important as they bring us a step closer to being able to comprehend, diagnose earlier, and protect against kidney disease,” concluded Elaine Davies, director of research operations at Kidney Research UK, who wasn’t directly involved with the analysis.